This is one of those products that I took little while to get warmed up to. I am a very skeptical reviewer. Can I over emphasize the word 'very'? 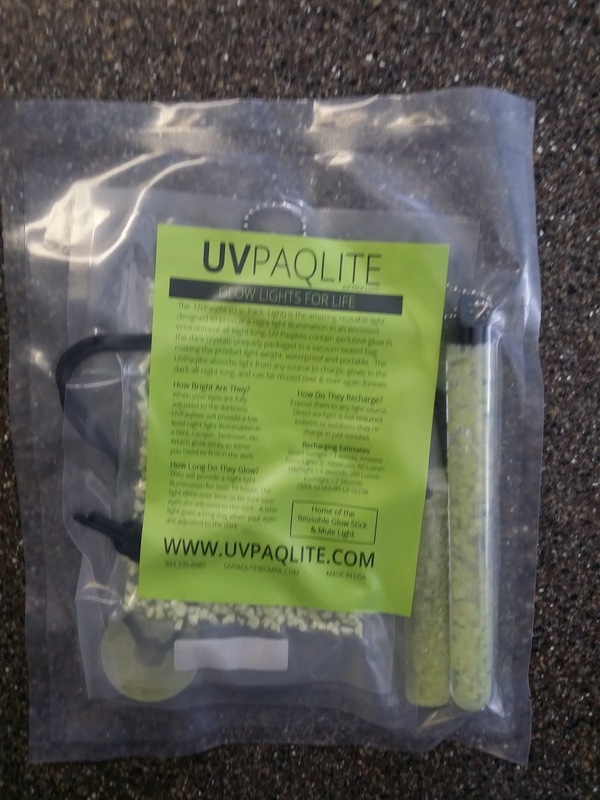 UV Paqlite came to last years PrepperCon expo. Ever since then I have been evaluating, in my head, what I may possibly use them for. While we were putting this years show together I saw their name, that they had already reserved a booth. Just then, my brain had decided, it had put all of the puzzle pieces together and I knew I had to have some. When I think of something that is 'glow in the dark', I first think of a child's toy, and not necessarily a serious tool. However, when it comes to both prepping and survival anything that is reusable, renewable, rechargeable and versatile is worth it's weight! When batteries and energy are scarce and at a premium, and you only need a little bit of light you will genuinely appreciate having an array of these products. Because they are so light, compact and inexpensive I plan to keep at least one of these lights in each of my bags. During a power outage when it can be a little scary for children, I have found that the glow of the UV Paqlite is both comforting and distracting as well as fun. If I give my kids a flashlight they will inevitably set it down somewhere without turning it off and the batteries will be dead by morning. 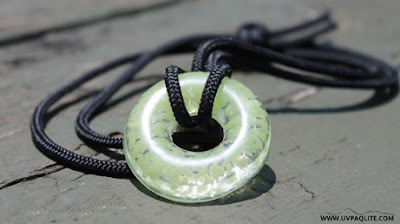 With one of the glow sticks or necklaces hung around their neck they can wander from room to room with that warm glow following them, and without wasting batteries. Also, consider a more serious SHTF situation. When moving around your home at night you don't want to attract attention. Keep it dark and stay out of sight. 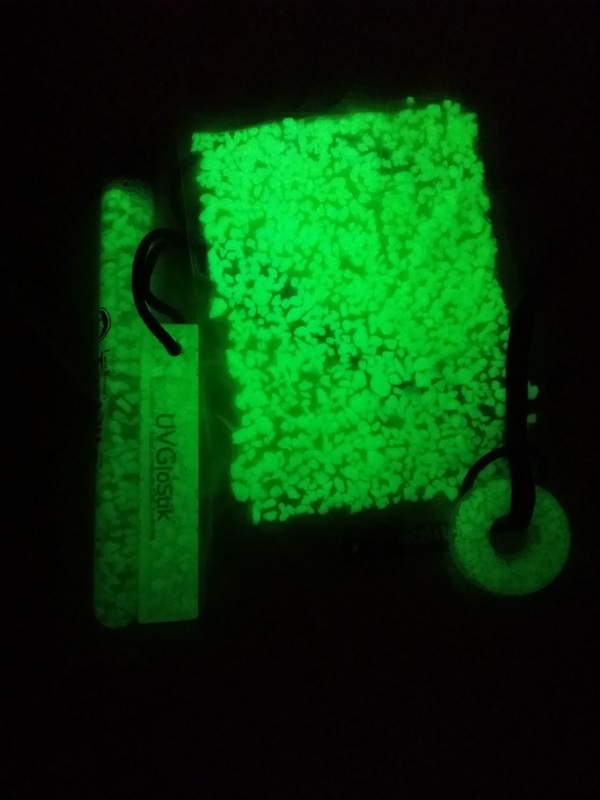 Using the UV Paqlite products will not only protect your night vision they will attract much less attention than a bright flashlight being waived around your home. UV Paqlite was kind enough to provide me with one of their scout packs for this review. At only $20 I was ready to buy one anyway, and I will be buying more. These products are charged with any source of light. This means that you could charge them up during the day light hours and then when it's dark you'll have a source of light. Well, it doesn't exactly work that way. I'm sure that you remember when you were a kid, or maybe your own kids have the glow in the dark stars stuck on the ceiling. If you walked into the room at the end of the day without turning on the room light you could see those stars glowing, but not very brightly. If you then turned on the room light for a few minutes those stars would glow much brighter for much longer. The same is true with these UV Paqlite products. If you use an intense light to charge them for 60 seconds they will glow very brightly for a few hours and then more dimly for the remainder of the night. In a dark room, with only a charged scout pack, you would be surprised at the amount of light they provide. It is quite impressive! When they begin to dim just charge them back up with a flashlight for a few seconds. This is the best way to use these UV Paqlites. They have two products that use this same method: UV Paqlite crystals attached to their own flashlight with modes to recharge the crystals intermittently. Technology is awesome! These products represent the best kind of technology and allow us to have modern conveniences even in the worst of conditions and situations.